Charles and I just wrapped up the April roundup webinar (our monthly "let's grab a virtual cup of coffee and talk Denver real estate investing.") You can watch the YouTube recording below or listen to it on our podcast channel ("Episode #31 March Roundup - New Expectations?"). Commentary: The number of listings and solds are down. Price is up! 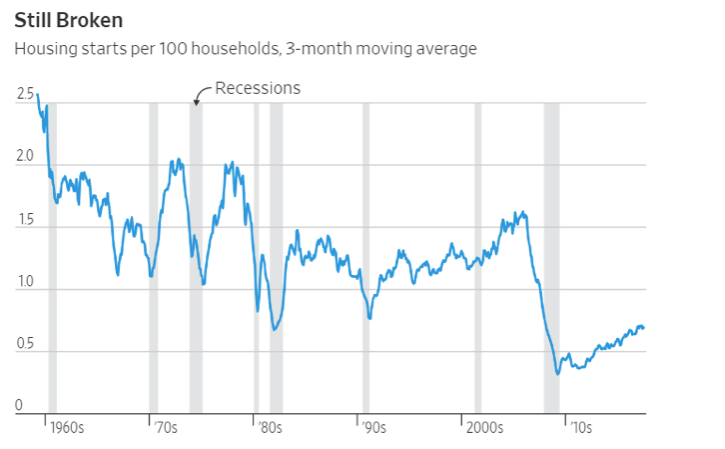 Commentary: The graph shows housing starts across the entire U.S. This graph shows the big picture and really drives home the huge shortage of inventory. While Denver housing starts have picked up recently, compare it to has happened historically. Inventory has a long way to catch up! This duplex is the normal, brick duplex in Aurora. It's a 3/1 and 3/2. Each unit is around 900 sq ft. The seller is a professional investor who couldn't believe what neighboring duplexes were selling for. He wanted to cash in. Market rent is $1,600 to $1,700. At market rents ($1,650), it's a 7.3 cap! This is the first time that we've discussed a listing on our monthly roundups! 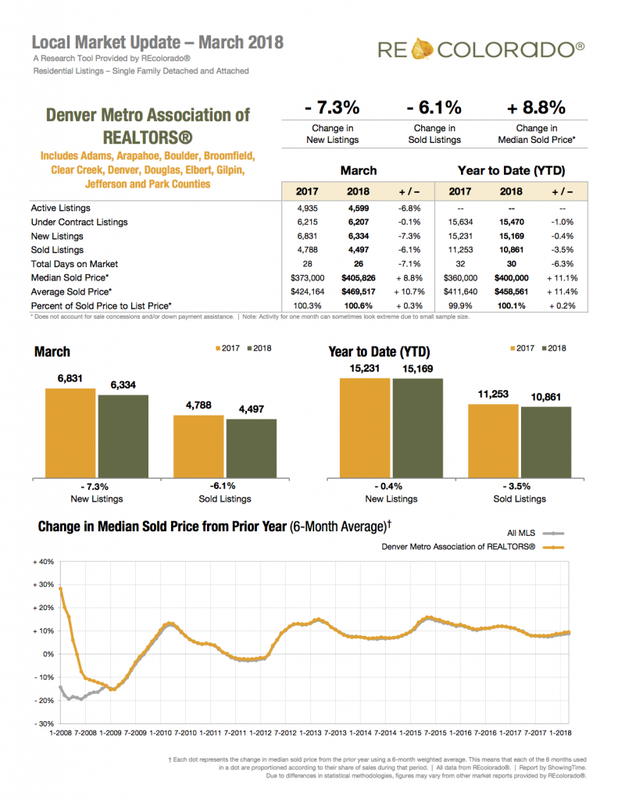 It's an interesting case study on the Denver market. Charles helped the client buy it in June 2014. Now he's helping him sell it. 5/4 - Property is under contract! All units are 3/1's at ~600 sqft. Purchased for $365,000 in June 2014. Rents were about $700. 2018 average rental income is $1,231 per unit. Comparable properties are selling at a 6.3 cap.